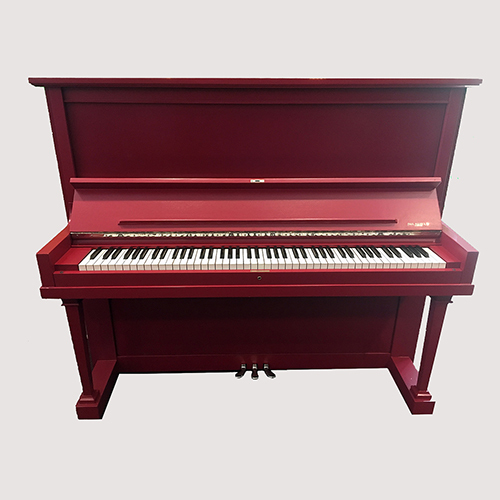 This piano is a prime example of Heintzman best products in their best years. Out of all the uprights they made, the model "O" is tops! Fully reconditioned in our shop, "Big Red" as we affectionately call her, comes with a five-year warranty, matching bench, and free delivery within the GTA.Completely restored and refinished in Farrow & Ball "Rectory Red", this classic Heintzman design suits even the most contemporary settings. Price includes: •	Matching Bench •	Comprehensive pre-delivery service •	Five year warranty •	Free Delivery within the GTA •	One year “Trade-Up” at full value •	One free in-home tuning.